Look no further than a windowsill succulent garden for a creative component in fall arrangements. Almost all Southern kitchens have them—those much-adored miniature plants that sit along sinks or window ledges and brighten our days through the heat of summer and chill of winter. Because they require minimal care, succulents are a popular choice for these indoor “gardens.” As charming as they are on a ledge, however, we’ve found they can also serve as an interesting and unexpected element in floral arrangements. 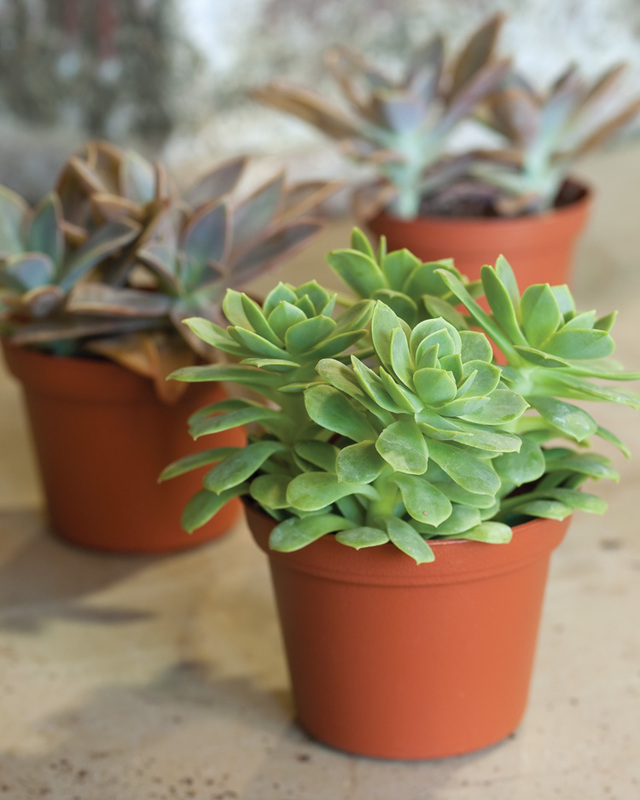 You can incorporate the small, potted plants with most any season’s blooms, but we especially like succulents for fall displays since many of the varieties exhibit rose- or bronze- tinged foliage. 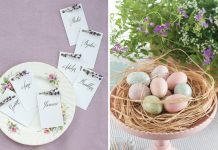 Usually, it isn’t necessary to remove the plants from their original pots; simply nestle the individual containers into florist foam, and build the arrangement around them. 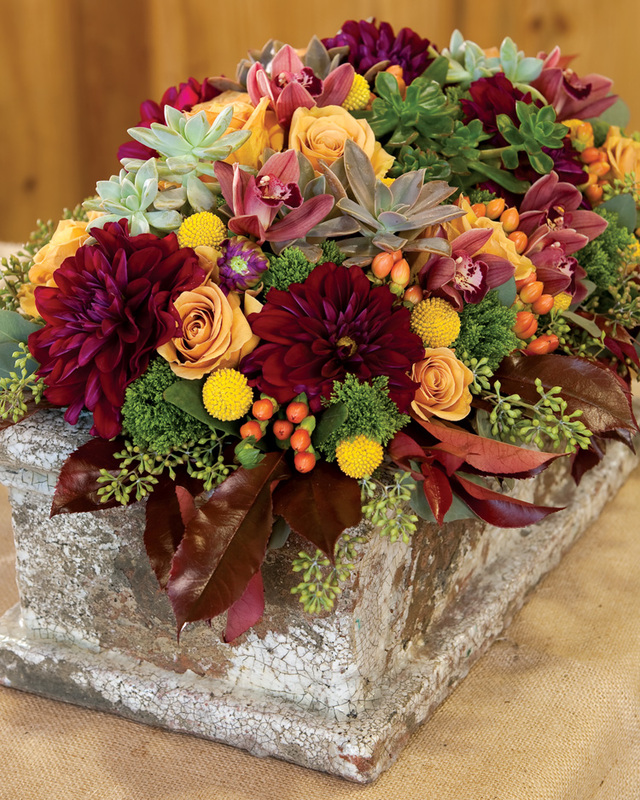 For an elegant centerpiece like the one shown here, try combining succulents with hypericum berries, trachelium, red tip leaves, seeded eucalyptus, mini cymbidium orchids, dahlias, and ‘Combo’ roses. When presented in an aged terra-cotta planter, the finished design offers just the right balance of autumn majesty and everyday appeal.